President Trump’s first year has been known for its departures, including Sean Spicer, the press secretary, Anthony Scaramucci and Michael Dubke, both of whom served as communications director; Michael T. Flynn, the president’s national security adviser; and Reince Priebus, who was chief of staff before Mr. Kelly. His removal is a win for Mr. Kelly, who believes in stronger discipline on White House employees. Bannon was known for arguing with other aides of the president on the war in Afghanistan, immigration, and taxes. Mr. Trump has also recently grown tired of Mr. Bannon, according to close White House employees. He’s been complaining to other advisers that he believed his chief strategist had been leaking information to reporters and was taking too much credit for the president’s successes. Supposedly, Bannon slowly thought that the President doesn’t have the political knowledge to govern an entire nation. However, this isn’t necessarily a loss for Bannon. 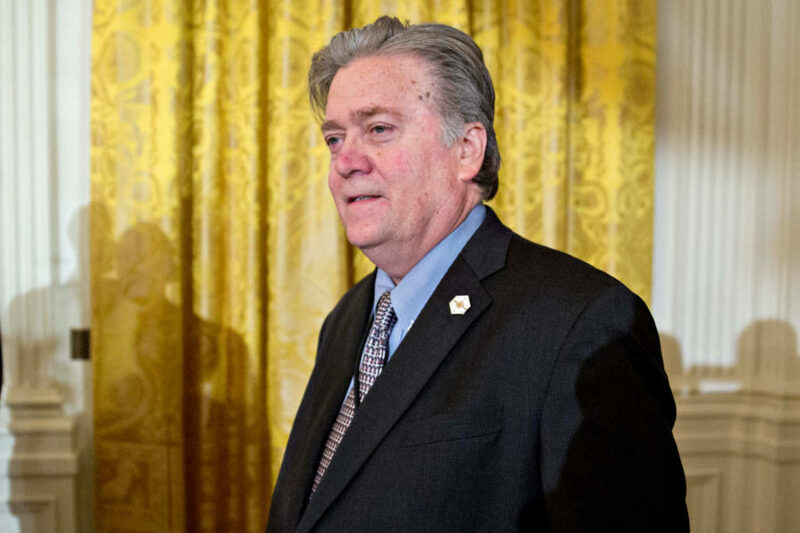 As a former executive chairman for the Far-Right American Breitbart news website, Bannon left the job to join President Trump’s administration. When Trump assumed office, he made a new job for Bannon, “White House Chief Strategist”. It’s a job focusing on executing the administration’s long-term agenda and giving advice to the President on specific matters. The job had the same status as Chief of Staff, which originally was to have both parties sign off on many decisions together. This didn’t seem to work, as Bannon and Kelly, the current Chief of Staff, seemed to have a general distaste for one another. Nonetheless, as soon as Bannon left his job in the White House, he was almost instantly added back as executive chairman at Breitbart. Bannon has also been under fire for being the lone White House staff member who defended Trump’s comments on the recent events on Charlottesville, who said in a press conference that there is ‘very fine people’ in both the groups of the white supremacists as well as the counter protesters and that “there is blame on both sides.” The comments were condemned from Democrats as well as Republicans on both sides, and even White House staffers disapproved of the President’s comments. His role as the former editor of Breitbart, which Bannon called “a platform for the alt right” made him a target to denounce the administration in the recent days. Bannon also made disconcerting comments regarding the presidency. “The Trump presidency that we fought for, and won, is over. We still have a huge movement, and we will make something of this Trump presidency. But that presidency is over. It’ll be something else. And there’ll be all kinds of fights, and there’ll be good days and bad days, but that presidency is over.” However, he later clarified that he meant that his time serving the President was over, not Trump’s agenda. Many saw this change coming with President Trump’s recent comments on his employee. He said: “We’ll see” when asked what will happen to Mr. Bannon, shortly before he was terminated from his job. “He’s a good person. He actually gets very unfair press in that regard,” Trump said. “But we’ll see what happens with Mr. Bannon.” All we can do now is wait until President Trump decides on who to hire as his next Chief White House Strategist.